Our Toronto Custom Concepts team did a great job on the millwork for our client's home renovation project. This fireplace project showcases a more contemporary look around the fireplace flanked on both sides with our upgraded millwork. We boxed out both side sections and added some baseboard trim at the bottom to match the baseboard profile in the room. We also installed the millwork along the top section of the fireplace for our client's future artwork. 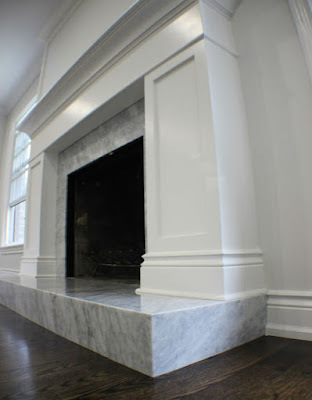 We also upgraded the marble surround and the matching marble hearth to give it a brand new fresh look.